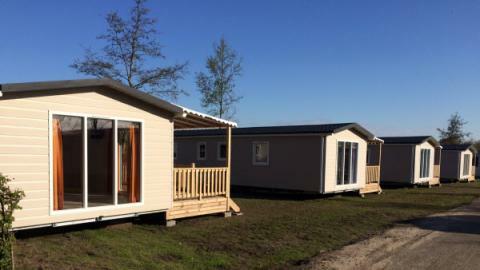 Molecaten Park Rondeweibos in Rockanje - the best offers! 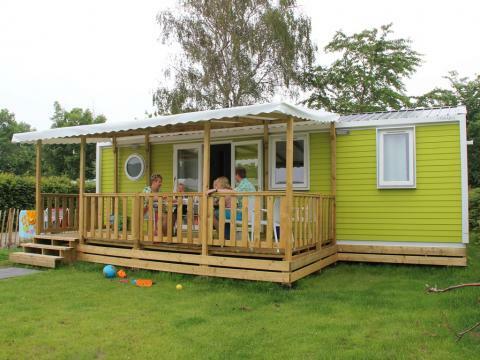 Molecaten Park Rondeweibos is South Holland is a friendly family campsite within walking distance of the sea and beach. Amid the beautiful dunes, the environment is teeming with wildlife. This price applies to 4-person mobile home/caravan Krekel, with the arrival as 6 May 2019, 2 Nights. 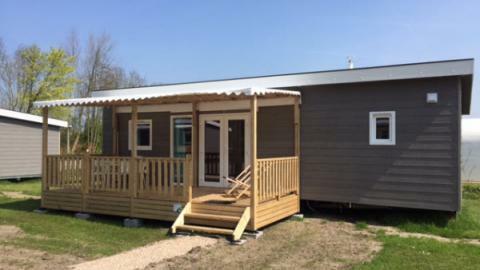 This price applies to 6-person mobile home/caravan Duintop, with the arrival as 6 May 2019, 2 Nights. This price applies to 6-person mobile home/caravan Akelei, with the arrival as 6 May 2019, 2 Nights. 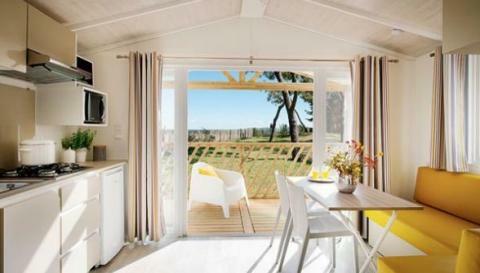 This price applies to 6-person mobile home/caravan Pimpernel, with the arrival as 6 May 2019, 2 Nights. This price applies to 6-person mobile home/caravan Zomerzon, with the arrival as 6 May 2019, 2 Nights. 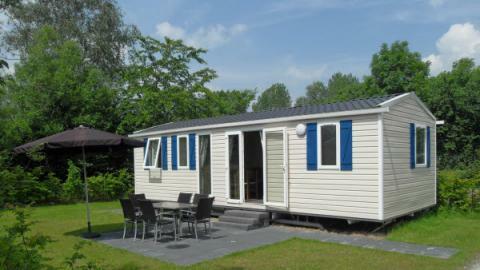 Molecaten Park Rondeweibos is South Holland is a friendly family campsite within walking distance of the sea and beach. The seaside resort of Rockanje is a coastal dune area with unique flora and fauna. From the park, you can walk through the dunes and be at the beach in no time. The sea is calm and ideal for children to swim, play and float around. At Molecaten Park Rondeweibos, you will find plenty of facilities for a wonderful holiday by the sea. Enjoy a game of tennis on one of the tennis courts or go swimming in the heated outdoor pool (open from approx. end-April to mid-Sept). The supermarket has limited opening hours in low season. The young guests have been thoroughly considered at Molecaten Park Rondeweibos. The children will enjoy themselves on the large playground with swings. In the school holidays, there is an entertainment team for children. They organise fun activities for all ages. If you don’t feel like cooking, The Pirate restaurant or the snack corner are both fantastic options. The bars and restaurants have limited opening hours off-season. If you don’t feel like relaxing on the beach, then you can go on a day trip! Why not rent bicycle and explore the beautiful surroundings of Rondeweibos. In the vicinity, there are various attractions, beautiful hiking and cycling routes and many more activities. Why not surprise the kids with a trip to the petting zoo in Oostvoorne. You can also take them to the subtropical swimming paradise in Stellendam. For culture vultures, a trip to the Historic Museum of Brielle or the open-air museum the Duinhuisjes in Rockanje are both highly recommended. For most preferences/requests, a surcharge of €15 is applied. You can find these costs on the invoice from the park. Due to the family-friendly nature of the park, groups of young people are not allowed to stay at the park. Pets are available on request. If you want to bring a pet this must be requested in your booking. If your application is accepted, you will be charged €3.90 per pet, per night and €15 extra cleaning costs.